Most people know that if they leave bread out for a long time, it will begin to grow mold. However, they may not know much about what mold is, how it forms or why. There are different types of bread mold, some of which are relatively harmless, and others that are dangerous when eaten. Several species of molds – identified as “bread molds” – grow on bread. They form when mold spores find their way onto the surface of the bread. Mold is a fungus that eats the organic compounds found in bread and other foods. Penicillium, Cladosporium and black bread mold are three common bread molds. Some are harmless, but some are not, so it's best to avoid eating moldy bread. It is easy to mistake mold for clusters of tiny plants, but in reality mold is neither plant nor animal. Like mushrooms, mold is a type of fungus. Fungus is a kind of living organism that produces spores and feeds on organic matter such as rotting food. There are many different kinds of mold that grow in different places. Some molds only grow on wood, others tend to be found on decaying plant or animal matter, and some are most commonly found on food. Several different kinds of mold appear on bread, so they are referred to as bread molds. Although they are different species, all of these molds have a few things in common. Like all molds, bread molds reproduce by creating spores. Spores are tiny, often microscopic, particles from which fully formed molds eventually grow. Mold spores are present almost anywhere you find moisture and organic matter. They can drift through the air or land in water or food, meaning that they are almost always present in the wild and indoors. Fortunately, the vast majority of mold spores are harmless. Bread molds thrive on bread because of the rich organic materials found in it. Sugar and carbohydrates fuel the growth of mold spores. This is why bread left out in the open begins to grow visible mold in only five to seven days. The specific species of bread mold depends on the type of spores that are present in the environment. Black bread mold (Rhizopus stolonifer) is one of the most common bread molds. It exists on every continent on Earth. In addition to bread, black bread mold also appears on wild fruits and vegetables, especially if they are growing in moist conditions. Its presence causes rotting in whatever organic material it consumes, which means that black bread mold can kill plants. Black bread mold usually appears as fuzzy blue or green patches on the surface of the bread. When left untouched, these patches develop black, splotchy centers, which is how this bread mold got its name. It is never wise to eat bread molds or mold of any kind. Certain molds can cause severe allergic reactions in some people. However, for most people, eating black bread mold is not dangerous, though it can cause nausea, indigestion and vomiting. Penicillium is a genus of bread molds that are commonly found on bread and other foods throughout the world. Most species of Penicillium bread mold are so similar, they are practically impossible to tell apart without in-depth analysis. Penicillium bread molds are unique and interesting. 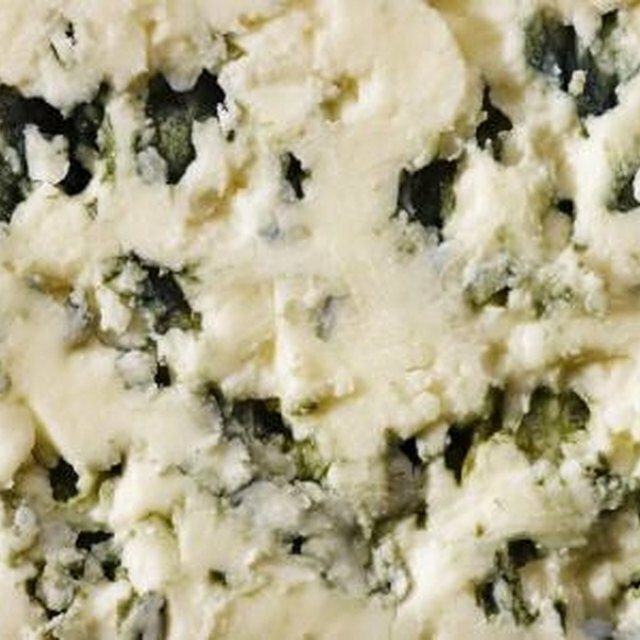 Some Penicillium molds are used by people to purposefully flavor foods, such as blue cheese. Other species of Penicillium molds produce a molecule called penicillin, which is used as an antibiotic by people. Penicillium molds usually appear on bread in fuzzy white, gray or light blue patches. Like black bread mold, Penicillium is not usually dangerous if accidentally eaten unless a person has allergies. However, certain kinds of Penicillium can produce substances caused mycotoxins, which have been linked to types of cancers and other illnesses. Because of this, prolonged exposure to penicillium molds can be dangerous to a person's health. Cladosporium bread molds are the most irritating to people with allergies. These molds cause sneezing, coughing and wheezing if exposure to them is prolonged. Cladosporium molds usually appear on the surface of bread as dark patches that range in color from deep green to black. Cladosporium bread molds produce a noticeable odor, more so than other bread molds, which may help you to notice these molds before accidentally eating them. If they are accidentally eaten, Cladosporium bread molds don't usually cause immediate harm unless a person is allergic. However, because of this mold's strong scent and smell, it is likely to cause vomiting. Like Penicillium molds, Cladosporium molds can produce mycotoxins; you should avoid prolonged exposure. Though they come in varying colors and cause slightly different reactions in bread and people, all bread molds are fungi that reproduce via microscopic spores. Most bread molds can make humans sick to varying degrees, which is why it is best to avoid eating moldy food. United States Department of Agriculture: Molds on Food: Are They Dangerous? Cook, Maria. "Different Kinds of Bread Mold." Sciencing, https://sciencing.com/different-kinds-bread-mold-5956459.html. 11 April 2018.